Pelenna Patchworks: Makower Christmas fabrics have arrived! Every year Makower release a range of stunning Christmas prints, and this year is no different! 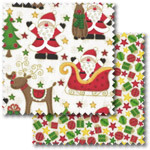 Now available to buy on the website are fabrics from the Novelty Christmas and Vintage Christmas ranges - fun, novelty designs including Santa, Rudolph, presents and stars in the Novelty Christmas collection, and more traditional designs such as holly, berries, mistletoe and Christmas trees in the Vintage Christmas range. Each range is also available as a fat quarter pack or a stash pack, great to get a mix of fully co-ordinating fabrics without breaking the bank! 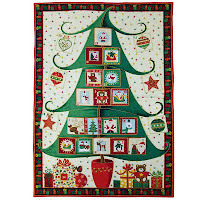 Also available are 5 new Christmas panels from Makower, to make advent calendars in four different designs of an angel, Christmas tree, train and fireplace, and a large Christmas stocking panel. 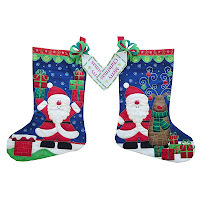 All make gorgeous decorations that will be treasured for years to come, while still being quick and easy to make!